Here's you second chance to purchase the LCFD Dance Camp tshirt designed by Allen Troxler and Ron Suresha. This time you have the option to purchase a (sleeveless) tank top as well. Price per tshirt is $15, except for sizes 2XL and 3XL which are $20. 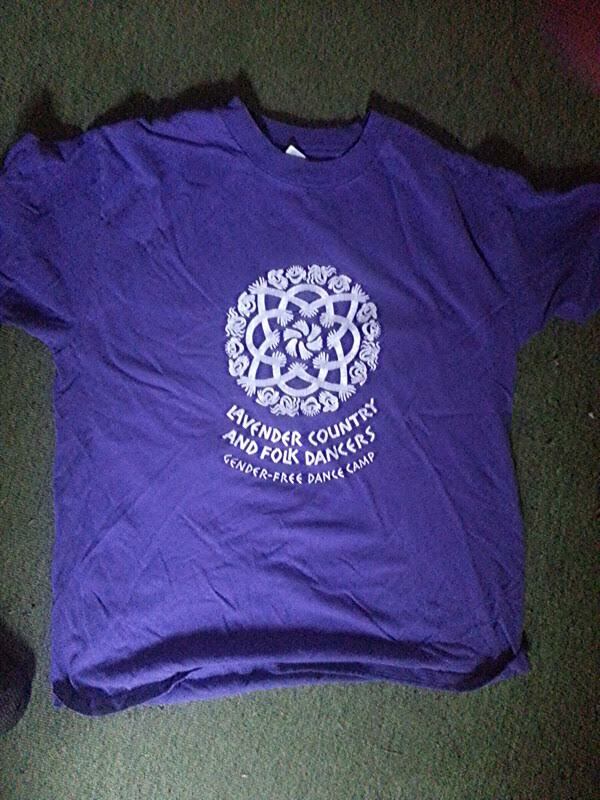 Net proceeds of the tshirt will go towards the Lavender Dance Legacy Fund.